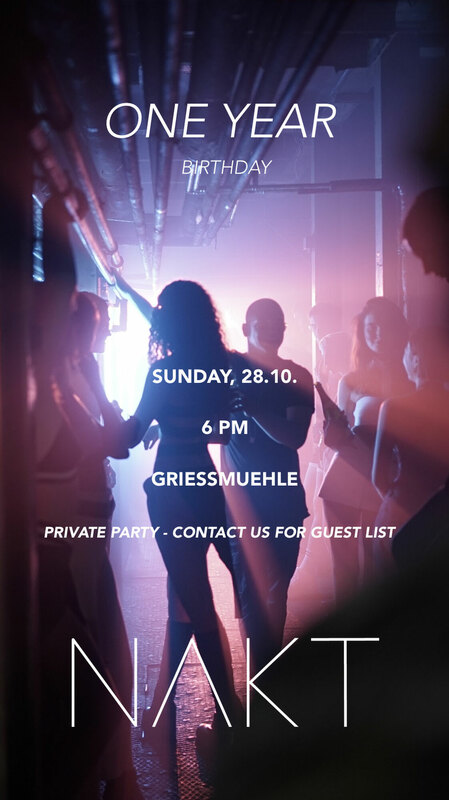 THIS SUNDAY WE'RE GOING TO CELEBRATE OUR 1 YEAR BIRTHDAY AT GRIESSMUEHLE. THE PARTY IS PRIVATE AND ONLY ACCESSIBLE WITH GUEST LIST. THERE WILL BE 19:28 TATTOO STUDIO, AN AMBIENT AREA, AND, OF COURSE, CAKE.